Microsoft Windows Vista has a whole lot of new features and is an edge above its predecessor Windows XP. To start with, Microsoft has changed the look and the feel of its start menu. The new start menu, though not very attractive, include a search box embedded in it. It offers better search functionality with a whole lot of new search features. Windows Vista also has inbuilt Text-to-Speech and Speech Recognition software’s which can be accessed through the ‘Speech’ tab in the control panel. Outlook Express has been renamed as ‘Windows Mail’ with some minor additions. A new Windows Photo Gallery has been introduced which can manage your images. You can rank your images, change their color and contrast, create slideshows and much more with this new Windows Photo Gallery. It also includes a ‘Sync Center’ which enables you to synchronize all your devices. A range of ‘Parental Control’ features have also been included in the Control Panel of Microsoft Windows Vista. These features include Web Restrictions, Time Restrictions, Games Restrictions, Program Restriction and Activity Reports. These new features have really added a new dimension to the multiple user accounts feature of Microsoft Windows. The new Windows Vista also enhances on the security features available in Windows XP. It includes a build-in anti-spyware program, ‘Windows Defender’, which scans the potentially unwanted items installed on the computer. Microsoft Internet Explorer 7 is introduced in Windows Vista. IE 7 supports tabbed browsing which is the most appreciated feature of its biggest competitor, Firefox. Windows Media Player 11 is another upgrade in the new Windows Vista package. It also includes a whole lot of new games in this fresh bundle. It is clear that Windows Vista comes with many features but all these come at a cost. As I was told by a Microsoft employee, it took them 4 hours to install the OS on one machine. Its a very heavy OS, whose full version requires about 10GB of space and a minimum of 512MB of RAM. The Beta version takes a lot of time to load when you start the system, though may be improved in the final version of the product. 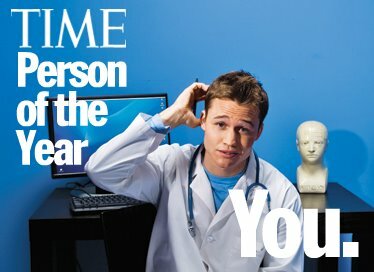 In the year 2006, ‘YOU’ have been rated as the Time Magazine’s Person of the Year. ‘You’ are the people having a great passion for the World Wide Web. ‘You’ have been searching for an identity on the internet. ‘You’ try to make an impression on the internet. ‘You’ try to leave your mark on the internet. ‘You’ are the people who speak out their hearts on their blogs, post movies for others to watch, try to elaborate the intellectual resources on the internet, or just collaborate with others for social networking. ‘You’ are trying to make yourself heard. The numerous blogs hosted by Blog*Spot, WordPress or MSN Spaces depict your views and feelings. The YouTube videos you post surpass all cultural divides and give an opportunity to divulge yourself. These technologies give you a new medium to convey your thoughts and make it heard to others. ‘You’ are the people volunteering to create large intellectual wealth on the internet. ‘You’ are the people who write open-source softwares, contribute to the compendium of knowledge Wikipedia, share your bookmarked links with others on del.icio.us; thus, making internet an easy to locate information hub. ‘You’ are narrowing the geographical distances and making a new global community of people. You interact with people with similar interests, find activity partners, make new business contacts or find a date, all on the World Wide Web. The year 2006 saw a huge expansion of the popular social networking sites like MySpace or Orkut. These sites have given a new approach for the people to socialize with others. Lev Grossman of the Time Magazine states, “This is an opportunity to build a new kind of international understanding, not politician to politician, great man to great man, but citizen to citizen, person to person.” This all has been facilitated with the evolution the World Wide Web, particularly Web2.0. Web2.0 is the new generation of the internet. It is focused on adding another dimension to the internet by giving it a ‘human’ edge. It has given rise to some really powerful applications that are user-friendly and allow a common human being to introduce himself on the internet. The Web2.0 revolution has transformed websites from being isolated information silos to becoming sources of content and functionality, thus creating a more organized network of websites on the internet. 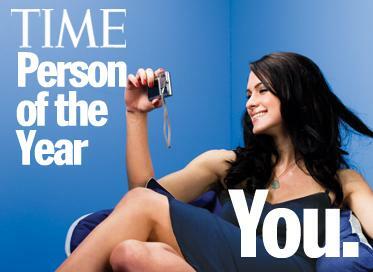 To read Time Magzine’s complete story, click here. You must have tried to put your footer at the bottom of the page when the page content is less. The best possible solution that strikes here is to use the CSS min-height property. But alas, this is not compatible with Internet Explorer. One option could have been to postion the footer to the bottom by specifying the following snipplet of code. But, it won’t work for bigger pages. In this case, the footer would stick to the bottom of the screen and not bottom of the page content. Just add this code to the div element above the footer. This code would work perfectly work on both Firefox and IE. Firefox would simply accept the min-height property. While, IE will ignore this property and would render the element according to the height property. The keyword auto will automatically extend the height as per the contents of the page. !important is used to set a higher priority to this line of code, so that it is executed when height of the page exceeds 450px. Microsoft is conducting a series of events for launching Windows Vista and Office 2007 for Developers. The launch is being conducted in five cities, viz. New Delhi, Hyderabad, Chennai, Bangalore and Mumbai. Today, the launch was conducted at Hotel Park Royal Intercontinental, New Delhi. The day started-off with an introduction to the marvellous new features of Windows Vista and Office 2007, specifically its fresh security features and the fantastic aero user interface. The security features in the new Windows Vista is widely enhanced compared to its predecessor, Windows XP. Aero is the new whimsical user interface that is incorporated in Windows Vista. Aero is an acronym for Authentic, Energetic, Reflective and Open. You would be astonished viewing the complete features of the Aero interface here. This introduction was followed by 5 demonstration sessions for developers, which gave them an insight to the new development features supported by these products. Windows Vista stands on three pillars, viz. Content, Confidence and Clarity. All development features in these new products add strength to these basic pillars of Vista. Windows Vista allows you to build visually stunning applications by using its UI component Aero. This session gave an introduction to UI programming using Aero on the .NET 3.0 platforms. .NET 3.0 ships with the new O.S. and is an enhancement for the older .NET 2.0, the major change being the inclusion of Aero element programming. Windows Vista also incorporates a sidebar on the right-side of the desktop. The sidebar features user-created applications, which can be easily created using JScript, HTML and XML. Code samples for predictive search and text-to-speech system using SSML were also discussed during the session. The session was presented by Deepak G.
This session focused on the security, reliability and performance parameters of the application to be developed on the latest Windows platform. The enhanced Vista features include a better Kernel Transaction Manager(KTM) and User Access Control (UAC). Windows Vista allows you to extend your RAM with a USB Flash Drive, whose I/O transfer rate is almost 10x faster than the conventional hard disk. It also has a better file system management process which does predictive paging for the most frequently used programs. Overall, this leads to better performance and low battery consumption. The session was presented by Vineet Gupta. .NET 3.0 introduces the Windows Communication Foundation (WCF) API, which significantly enhances the Web-Services feature of .NET 2.0 using the SOAP format to communicate between processes. This WCF API provides an excellent platform to easily develop powerful Client-Server applications. For such applications, you need to make one server application and one host application, which requests services from the server using Contracts. This highly informative session was presented by Pandurang Nayak. This session gave an introduction to the Office 2007 system. One of the most-exciting features of Office 2007 is the use of open-source XML. All office documents stored in *.docx format can be converted into XML files by changing the file extension to *.zip. Office 2007 also introduces a whole new range of Office Business Applications (OBA), which allows you to create remarkable business applications using the Office Technologies and Visual Studio. SharePoint Server, a part of the Office Package incorporates a powerful data mining tool which can easily mine data through an Excel Worksheet, SQL Database or any other data source and can represent the data in the form of decision trees, workflows and graphs. This session was demonstrated by Vinod Kumar. Collaboration tools could be easily build using the Office 2007 System. The SharePoint Server provides an easy method to build basic collaboration solutions without the need for writing any code. Customized workflows and forms can be made to extend the basic services of the SharePoint Server. This session was also presented by Vinod Kumar. After these 5 great sessions it was time for some goodies from Microsoft. Microsoft presented the Office 2007 evaluation CDs to all the attendees. Here’s a Must watch Video for all web enthusiasts. A very well depicted evolution of the Web.